Most young men love to follow in their father’s footsteps. 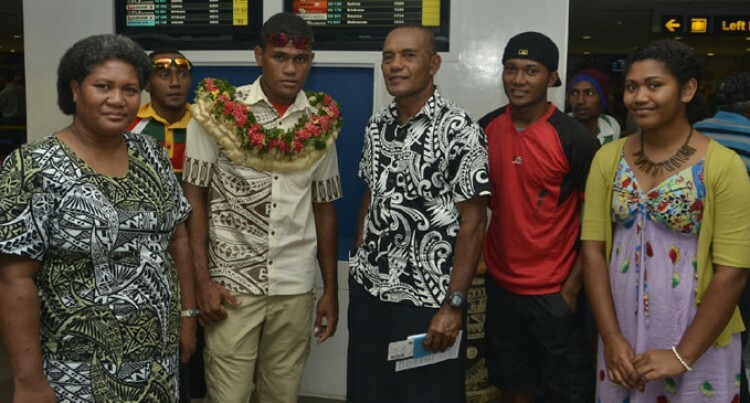 Private Mataiasi Lutu, 23, was among some of the fine young men among the 34 Republic of Fiji Military Forces (RFMF) personnel who left for peacekeeping duties in Sinai yesterday. For the Namacu, Koro, Lomaiviti, native this was his first tour of duty since his passing-out parade last November. Mr Lutu said: “I am really looking forward to this because it is my first. I grew up in an environment where my dad was always on tour of duty. Visiting war torn countries representing Fiji as a peacekeeper. Mr Lutu’s father, Sergeant Timoci Lutu, 47, and his family were present to farewell him. “I have briefed him to take part in all battalion exercise so that it would be a good resume for him,” he said. Sergeant Lutu had his first tour of duty, just like his son, in 1987 bound for Lebanon months after he graduated. “I got recruited in the force on that same year and managed to get first call of duty and then on I did not look back,” he said. He has also served in Sinai, (1989), Lebanon (92, 96, 98) and Iraq (2006, 09, and 2011). He reminisced about those days in Lebanon where they would share meals and talk freely to the people in the community.